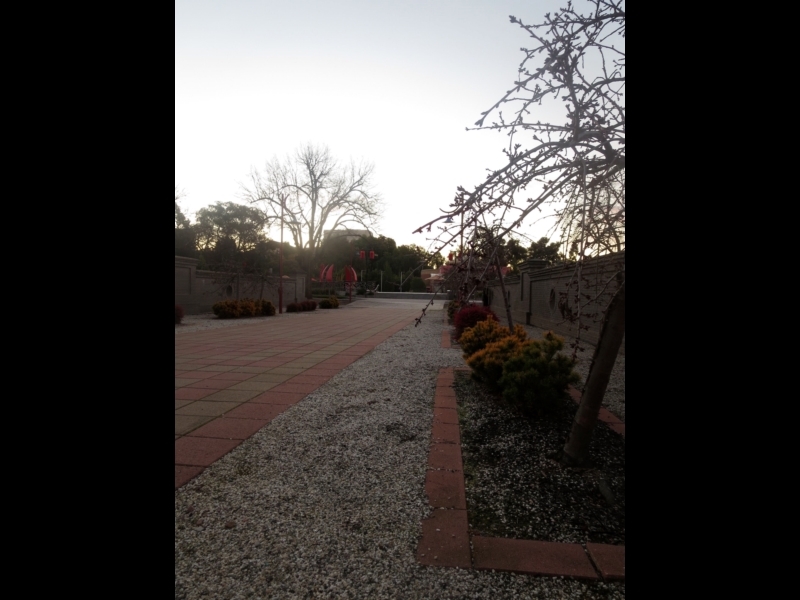 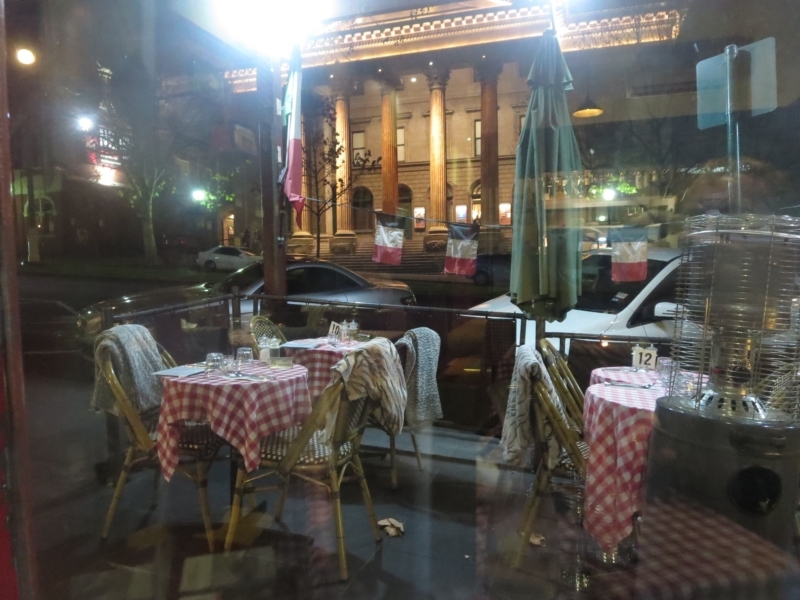 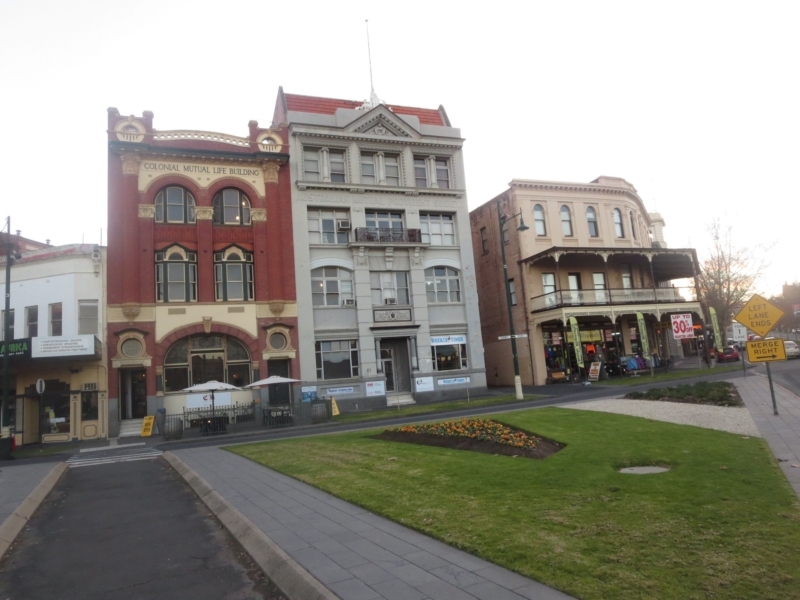 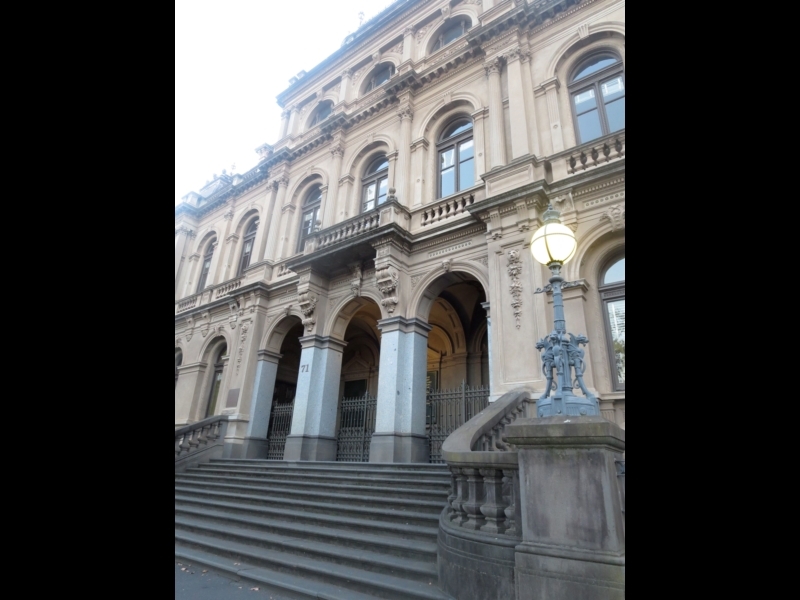 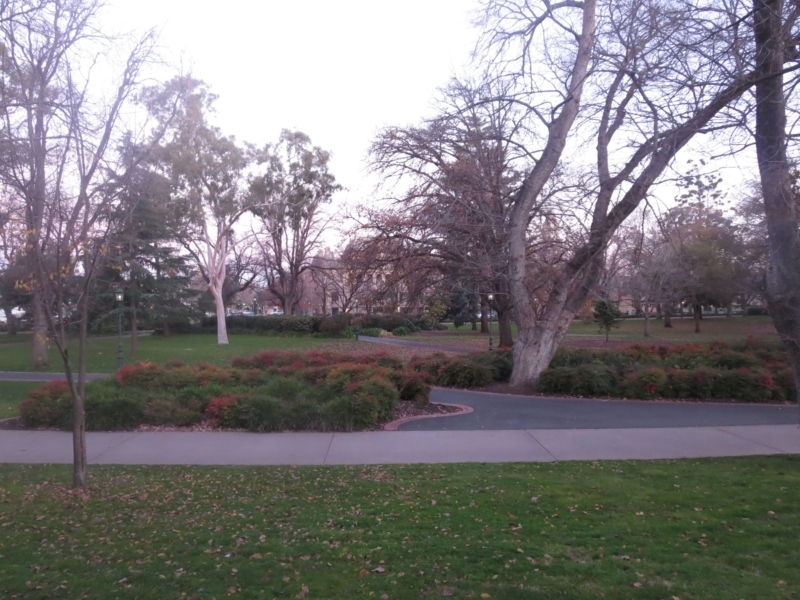 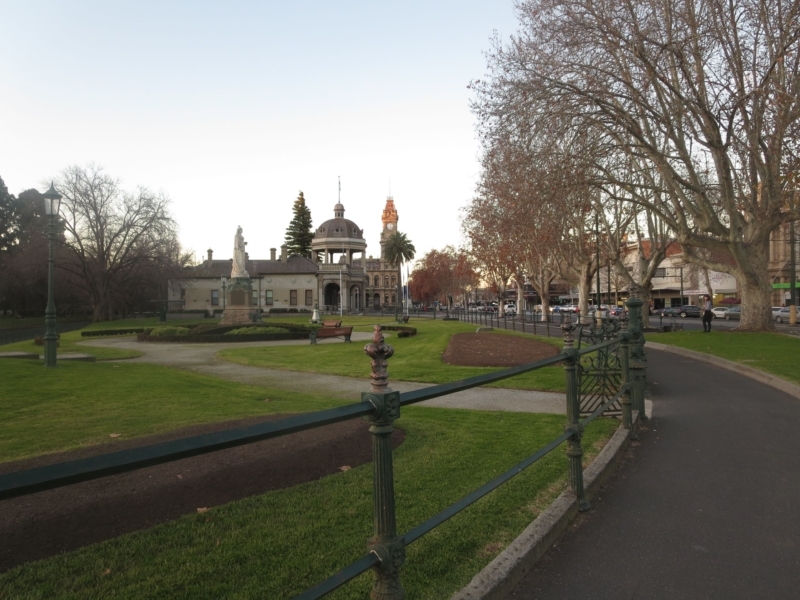 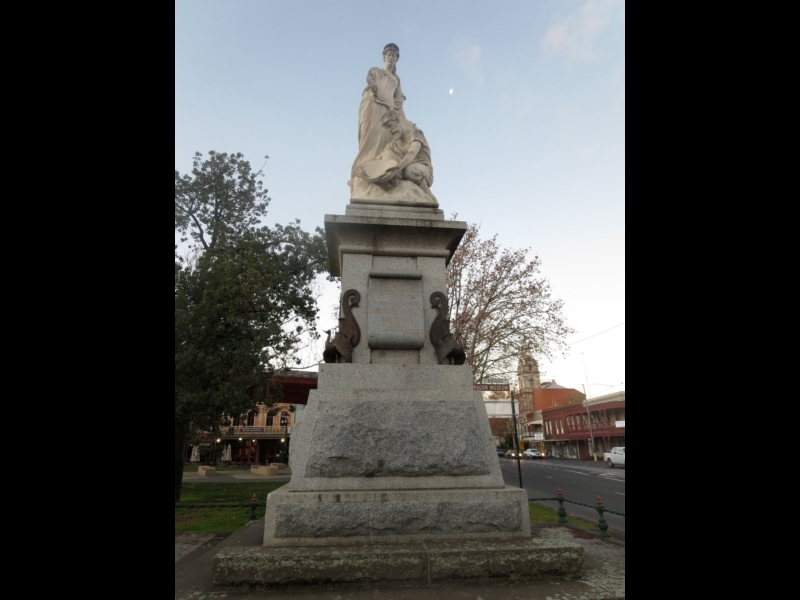 From the Alexandra Fountain follow Walk 1 CBD urban walk from the Bendigo Walks brochure. 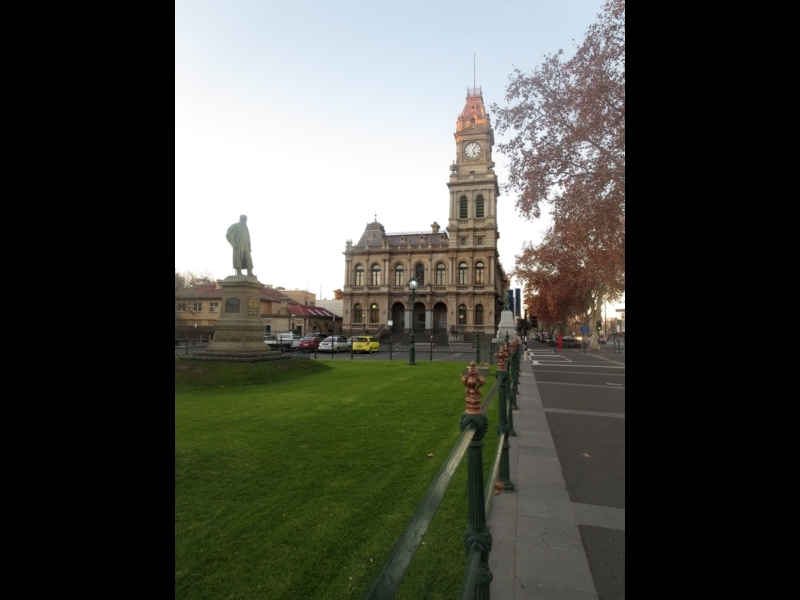 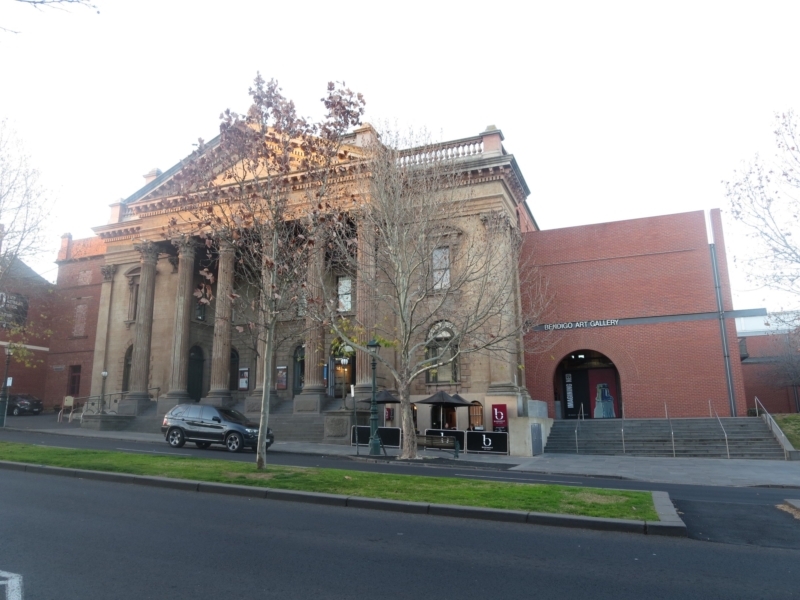 Turn left into Pall Mall, past the Soldiers Memorial Museum, Queen Victoria statue, Bendigo information centre, former Law Courts, and Shamrock Hotel on the opposite side. 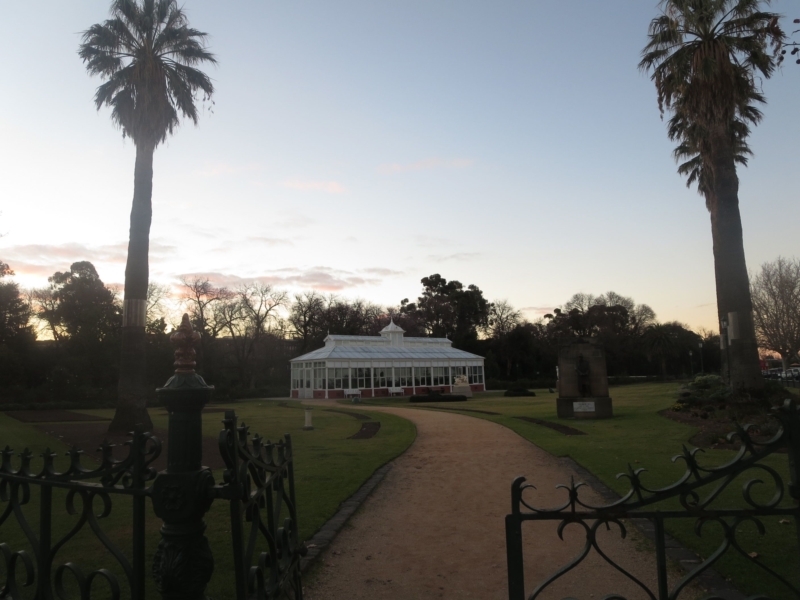 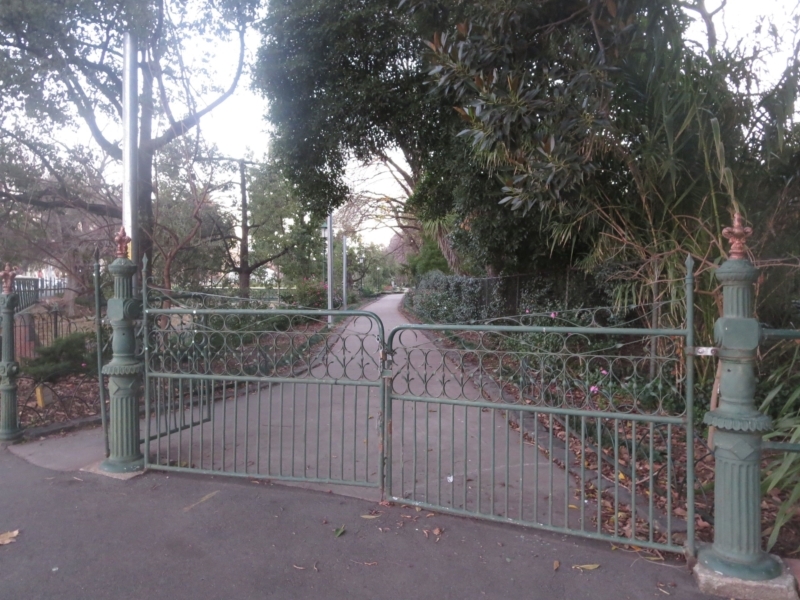 The white conservatory stands out among the bright green grassed area with old style iron fencing surround. 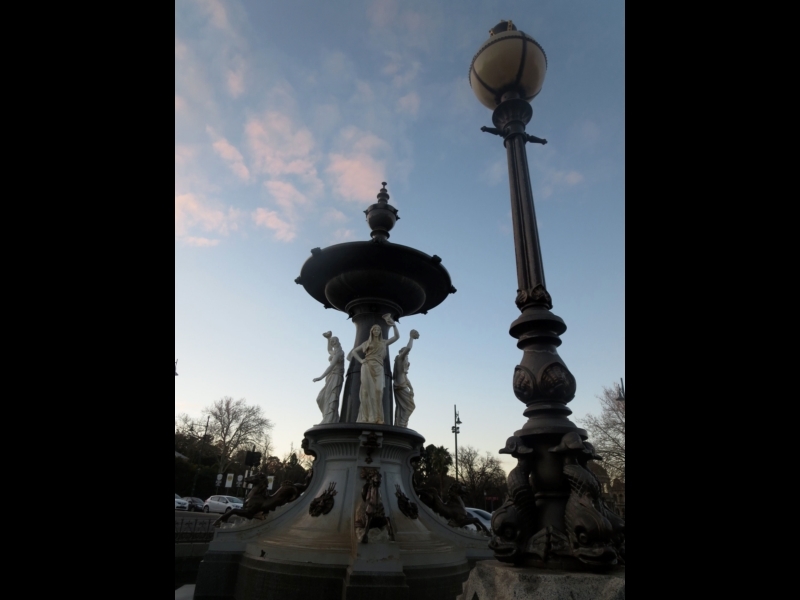 Keep walking along Pall Mall to the Chinese Gateway and turn left towards the Chinese temple, gardens and the Golden Dragon Museum. 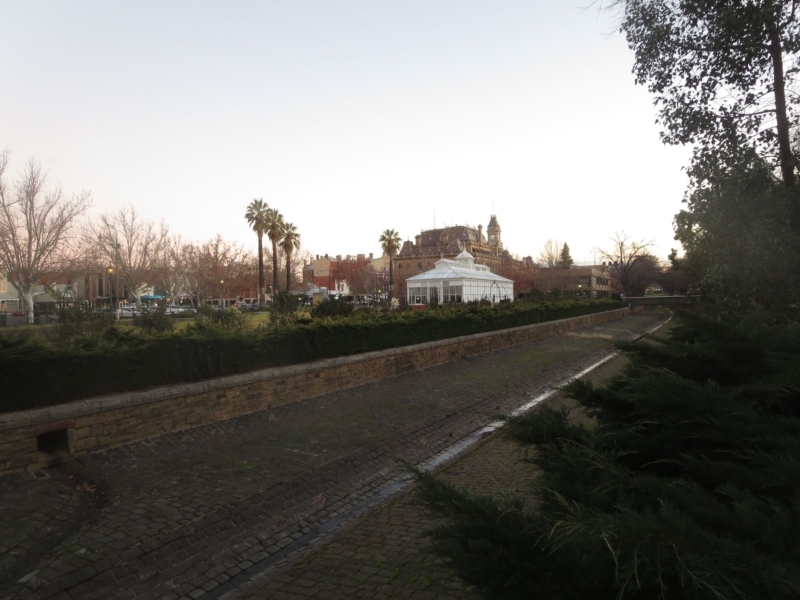 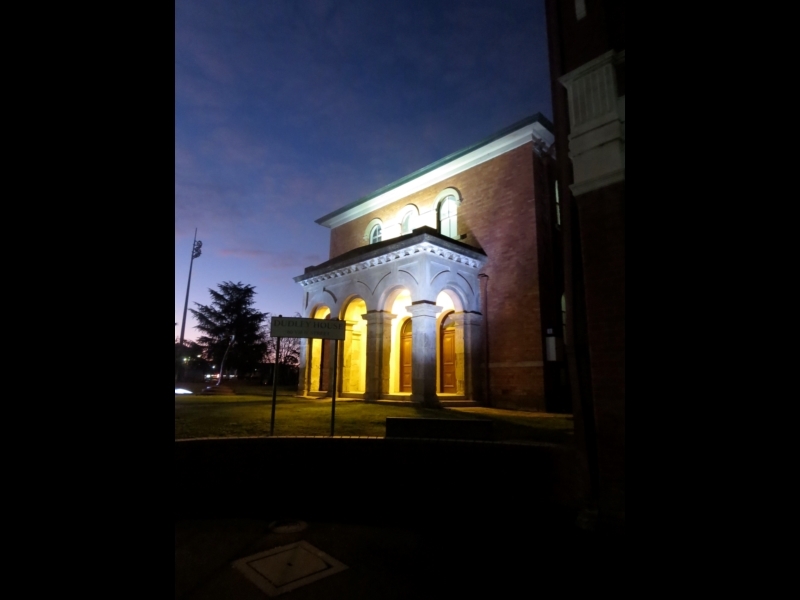 Across Bridge St to Rosalind Park, past the fernery, Bendigo Senior Secondary College and the massive heritage building of Camp Hill Primary School. 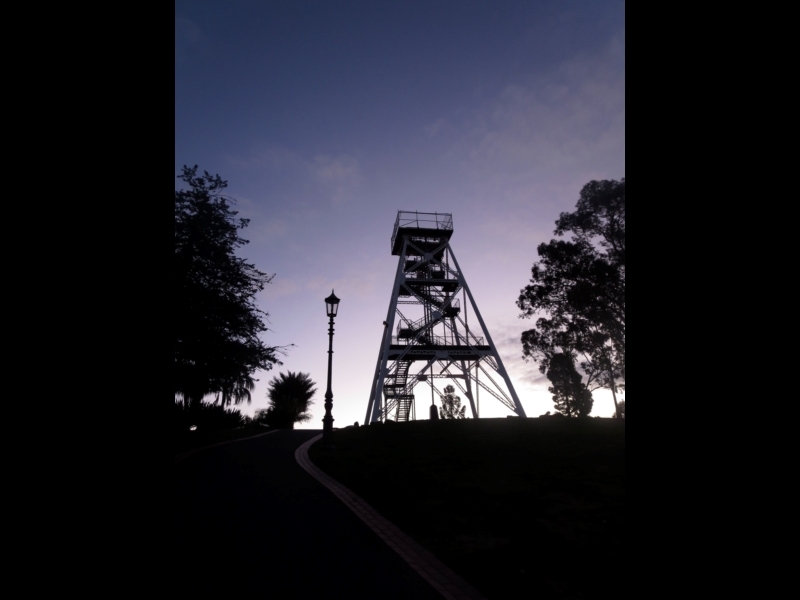 The poppet head shines like a beacon with the setting sun behind it. 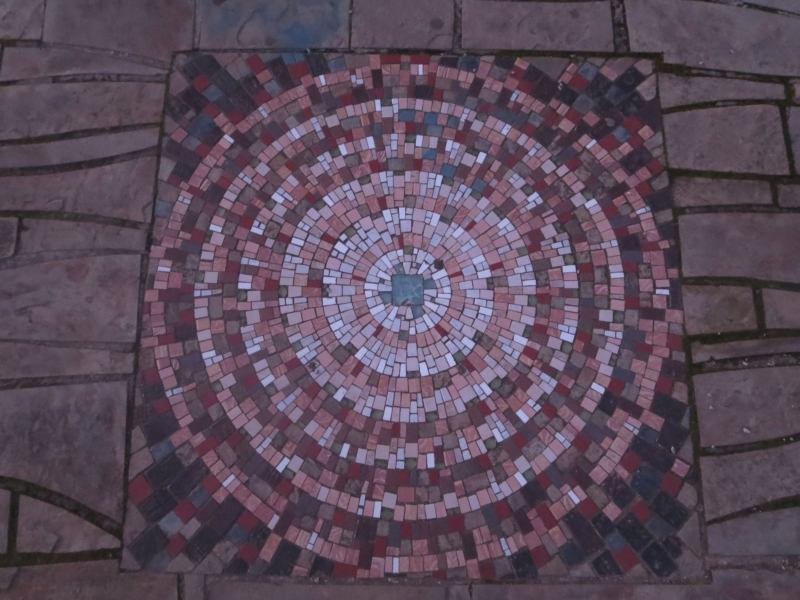 I have climbed to the top before but never noticed the mosaics around the bottom of it. 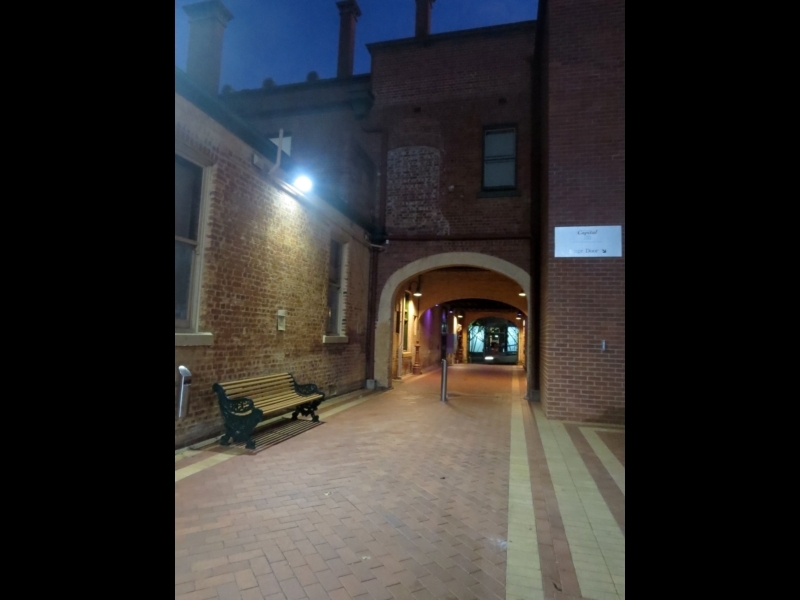 Walk through the archway at the back of the Capital Theatre and back down View St to the start.